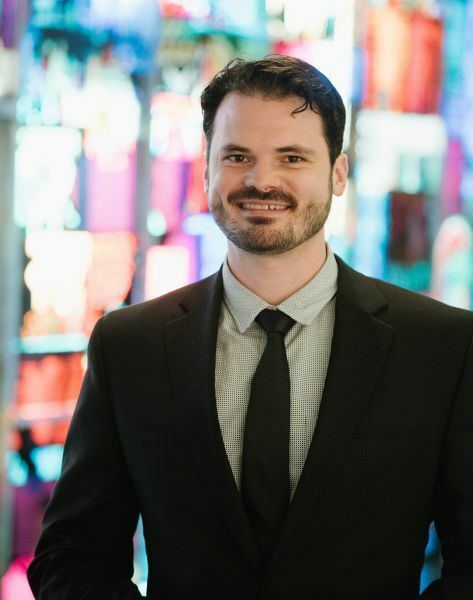 Before joining Oklahoma Contemporary, Jeremiah worked as a dramaturg, writer, consultant, producer and technical director at numerous industry-leading theaters. He has worked with some of the most accomplished artists in the country, including Tony Award-winning designer Christine Jones, Sleep No More producer Randy Weiner, international composer Andile Khumalo and emerging installation artist Cosmo Whyte. In addition, he has demonstrated a sustained commitment to arts access and arts education, from volunteer work in Brooklyn public high schools and teaching students at New York University, Barnard College and Columbia University to his continuing tenure as faculty member at the Todoroff Conservatory. Jeremiah has also worked in various creative and production capacities for high-profile events for such companies as AMC, TimeWarner, Goldman Sachs, Microsoft and Schlumberger. Born and raised in Oklahoma, Jeremiah studied theater and social science at Bennington College, then moved to Istanbul to teach English, history and drama. While abroad, Jeremiah participated in the 2006 International Istanbul Theatre Festival, working with Peter Brook and Marie-Hélène Estienne, among others. He returned to the United States to earn a graduate degree in dramaturgy at Columbia University, where he was Dean's Fellow. While at Columbia, he began to combine his experience in education, technical production, social science and immersive theater. Select Credits: EMPIRE TRAVEL AGENCY (Woodshed Collective); RESTORATION (New York Theatre Workshop); HENRY VI PART 3 (East 13th Street Theatre); AN ERROR OF THE MOON (Theatre Row); MUCH ADO ABOUT NOTHING, THE TEMPEST, CLOUD 9, MAD FOREST (Atlantic Theater Company); TUCK EVERLASTING (Playwrights Horizons); TELL IT TO ME SLOWLY (FRINGENYC); TROTZ ALLEM NICHTS (Symphony Space); QUEEN OF THE NIGHT (Diamond Horseshoe); FORNICATED FROM THE BEATLES (A.R.T. ); MIES JULIE (St Ann's Warehouse); UNTITLED BIOPIC (New Ohio Theatre); VOICES OF HISTORY, GETTYSBURG (History Channel) THE FRANKENSTEIN PROJECT, MOURNING, NONPLAY, BLACK SNOW (Columbia University); TOP GIRLS, A DREAM PLAY (Barnard College). Open Now until 10 p.m. • April 20, 2019 @ 7:47 p.m.